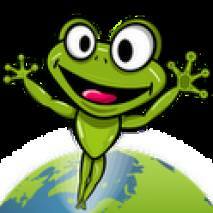 Jump with your Frog into the air and begin the journey to the Galaxy and beyond! Help Froggy jump up and away into the galaxy by bouncing from one platform to another! Use hot-air balloons and rockets to reach higher and bring down enemy frogs with the help of the bucket helmet!